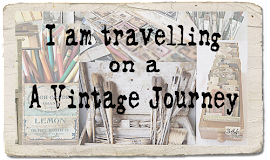 Hi Everyone, it's Julie here from Juliz Design Post and I'm delighted to be joining you on the final leg of our journey for this month. 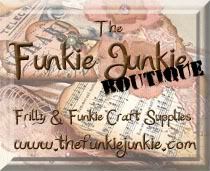 We have had stunning projects on our journey this month from Sandy, Astrid and Annie. In our luggage this month are the following products and technique. My mum's neighbour celebrates her 80th Birthday next month. She used to be a Professional Ice Skater and still loves to make Floral Arrangements and always likes to wear pretty necklaces, so I gathered all this inspiration to make this card for her. So let me take you through the techniques on how I made it. I started off with a sheet of Speciality Stamping Paper, blending my inks together, you will also notice my Spritz and Flick Technique. 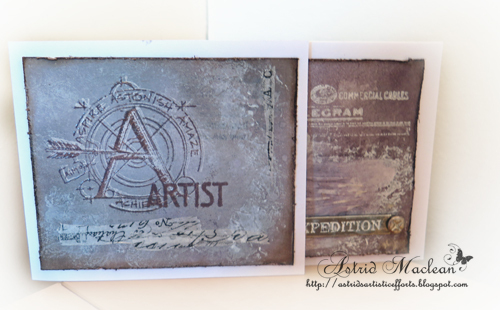 I polished my card with a Muslin Cloth to buff my embossed areas. I distressed the edges and added some Gilding Wax, I Zig Zagged and Straight stitched around my card with my Sewing machine. My Sizzix Frame - once the paint was dry I rubbed in my ink to highlight the crackles and rubbed over with a little Gilding Wax. My Tattered Rose and Cheery Lynn Rose Leaves were made up and I sprinkled a little Embossing Powder onto the Petals and heat set. I Stained my lace and Muslin. I cut out two of Cheery Lynn's Tiny Italian Flourish Doily and making a Rosette by joining them together in a concertina style. 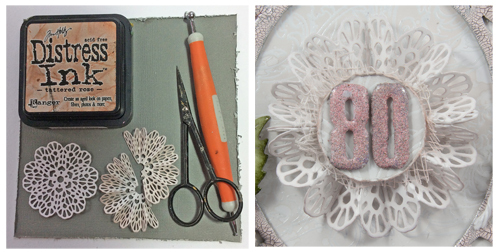 My 80 was built up with a few layers of Embossing Powder to give a chunky look to them, layering onto a small circle and some Muslin. My Sizzix Ice Skates were cut out in White Cardstock, I shaded the heel with Copic Pens and used Silver Embossing Powder on the blades with a touch of Glossy Accents onto the base of the blade to mimic ice melting. I pierced holes onto my boots and threaded in some Embroidery thread. 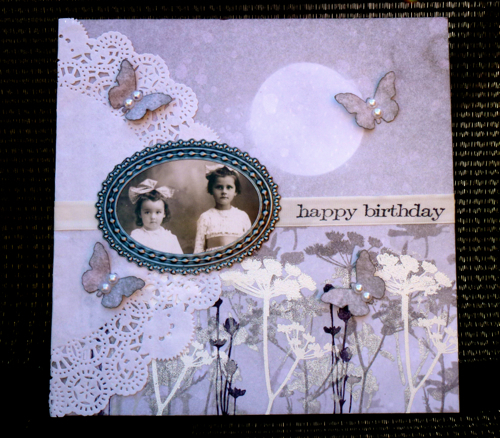 And finally the photo again of my finished card. And a collective look at of the previous weeks of this months DI posts. 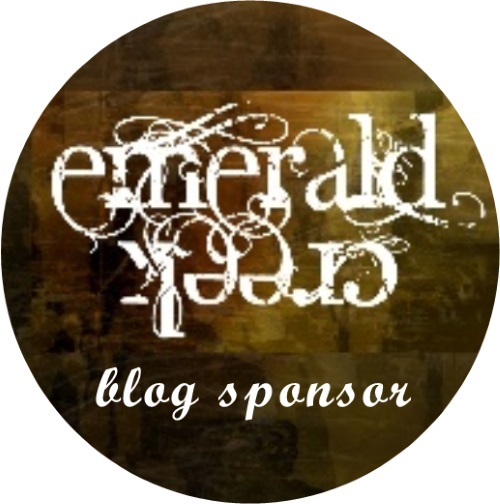 Thanks so much for stopping by at the last Terminal in our journey for this month and I hope you have enjoyed my post and feel inspired. Thank you so much for the tutorial. I love the card!! Wow Julie, what an amazing card! And such a great step by step too, - your attention to detail, like always, is just amazing! 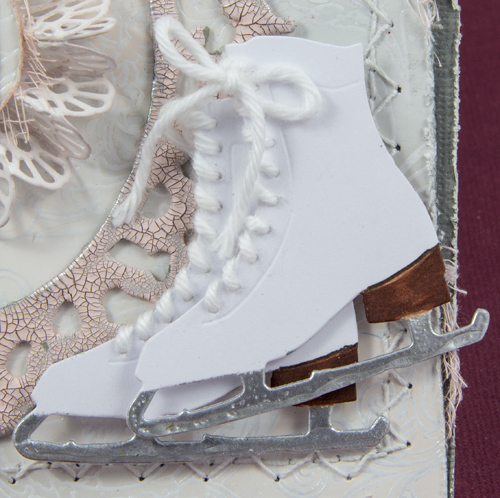 I am in love with that rose, so beautifully made, and the little touches, like some glossy accents at the bottom of the skates, and the way you did that rosette in the middle, just amazing. I absolutely love this card and I bet your mum's neighbour will be over the moon with it too! An absolutely Gorgeous card! Julie to celebrate a very special birthday. I love how you have taken inspiration from the recipients life and used it to create such a beautifully personal card that I'm sure will be treasured . What a beautifully special card, Julie! 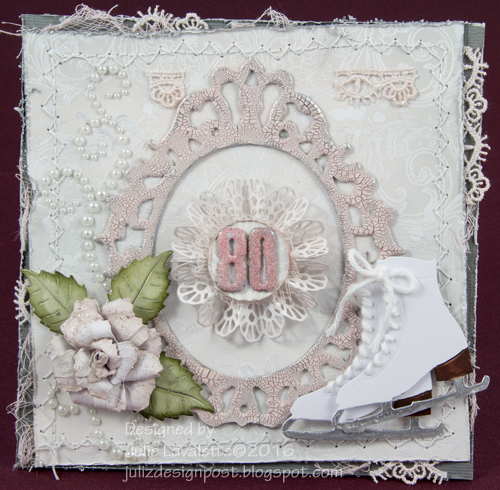 The details are amazing--love the rosette, the ice skates and the background. Fabulous! Love the texture and dimension. 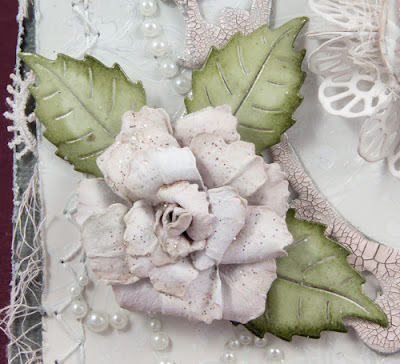 Fabulous personalized card with so many wonderful details! 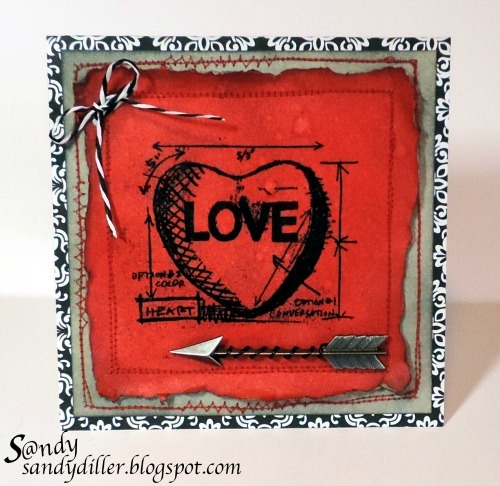 Love the concertina fold with the doily--so effective! And those skates are just the ICING on the cake! The frame is the prettiest version of Tim's Ornmate! All of it--just class from top to bottom! I'm sure your neighbor's Mum is going to fall head over heels! Hugs! Ok ok I HAVE to know how you made that beautiful rose. I've seen hundreds of paper roses BUT this one is by far the most beautiful rose I've ever seen. I got to know, is there a tutorial? Please oh please? It's stunning to say the least!